We have a new favorite reality TV show, well it's kind of a reality TV show. Funded by the Alfred P. Sloan Foundation, The Secret Life of Scientists & Engineers on PBS's NOVA, explores the inspiring work and very surprising hobbies of scientists and engineers. Who knew scientists and engineers had raucous passtimes that range from daredevils and dancers to musicians and sailing. 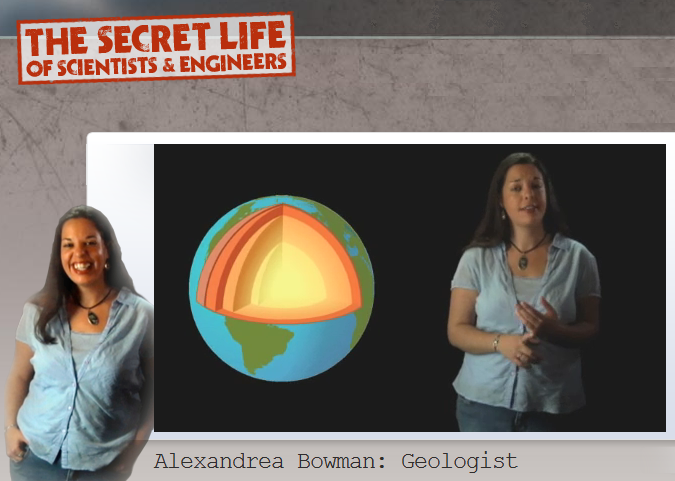 Above is geologist Alexandrea Bowman who has two secret lives outside of her research, Native American dancing and ninjitsu...NINJITSU! Multiple videos on a very diverse group of scientists and engineers are available on The Secret Life website.